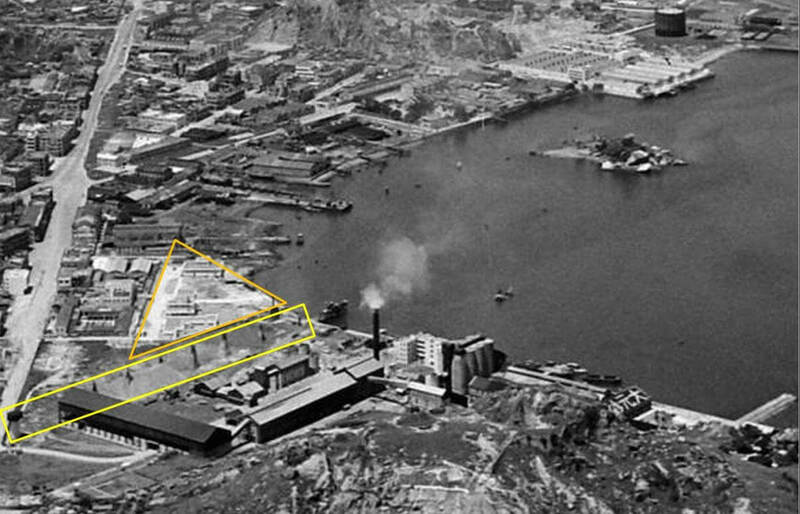 Ian Wolfe: This 1949 photo shows, in the orange triangle, the newly built China Oxygen and Acetylene Co., Ltd compound. 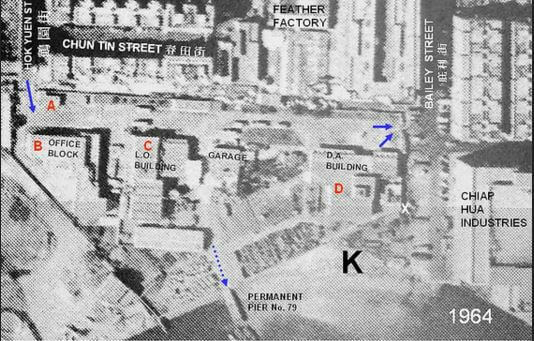 The company was a subsidiary of the British Oxygen Company Ltd.
“Pursuing their policy of post-war expansion, the British Oxygen Company Ltd. some time ago formed a subsidiary company in Hong Kong under the title of China Oxygen & Acetylene Co., Ltd. This paralleled development, on similar lines in Egypt and Malaya, representing additions to its existing large Overseas Organisation throughout the British Commonwealth. For further information please visit Ian’s flikr post linked below. Ian would appreciate 1950s / 1960s photos about the entrance gates, the granite block walls and the premises in general. HF: And we would be grateful for any information or images about the company. Source: Ian’s Flikr post about China Oxygen & Acetylene Co.